The Mater Accent dining table was designed by the Danish architects Space Copenhagen and combines sculptural and handcrafted aesthetics. The lines are based on the popular design of the Mater bar stools from 2009. 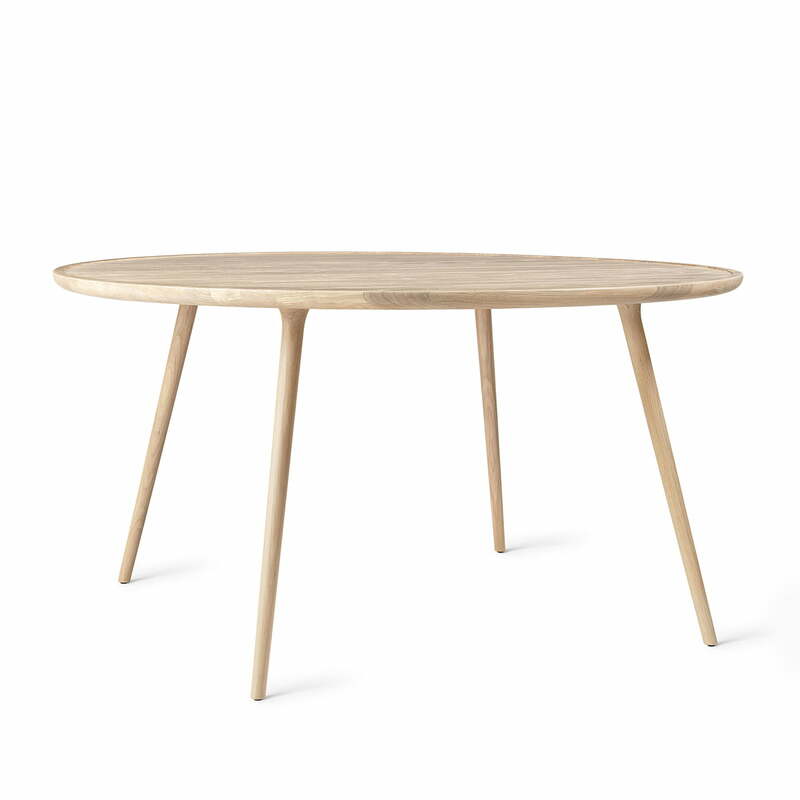 The dining table with a diameter of 140 cm and a height of 73 cm is made of FSC-certified oak. 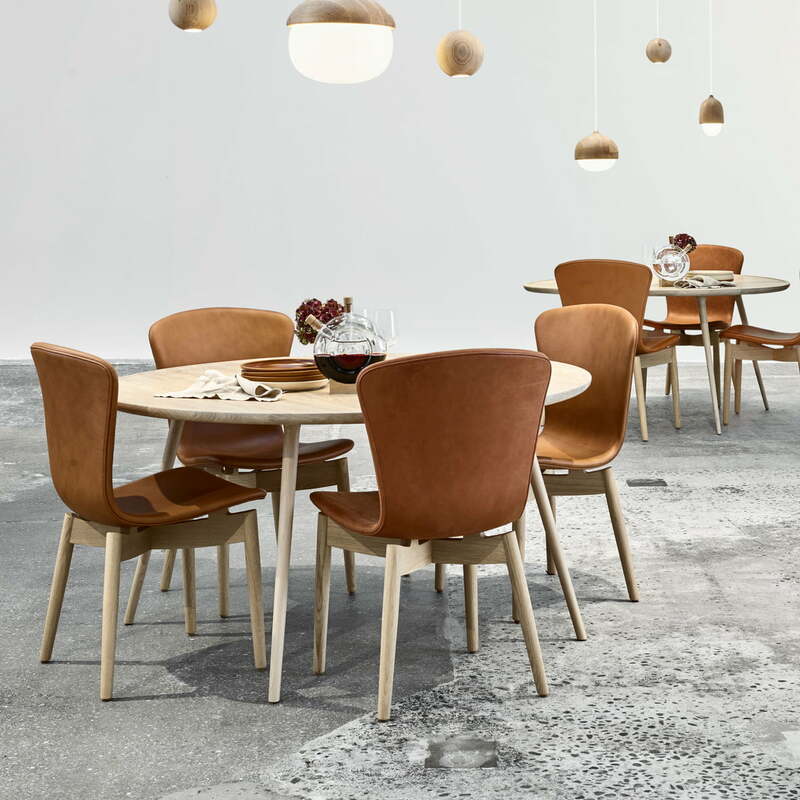 Despite its size, the slanted, slim and downward tapering legs and the rounded table top make it appear light and dynamic. This way it can also find a place in smaller rooms without appearing bulky. The Mater Accent dining table was designed by the Danish architects Space Copenhagen and combines sculptural and handcrafted aesthetics. The dining table with a diameter of 140 cm and a height of 73 cm is made of oak wood. 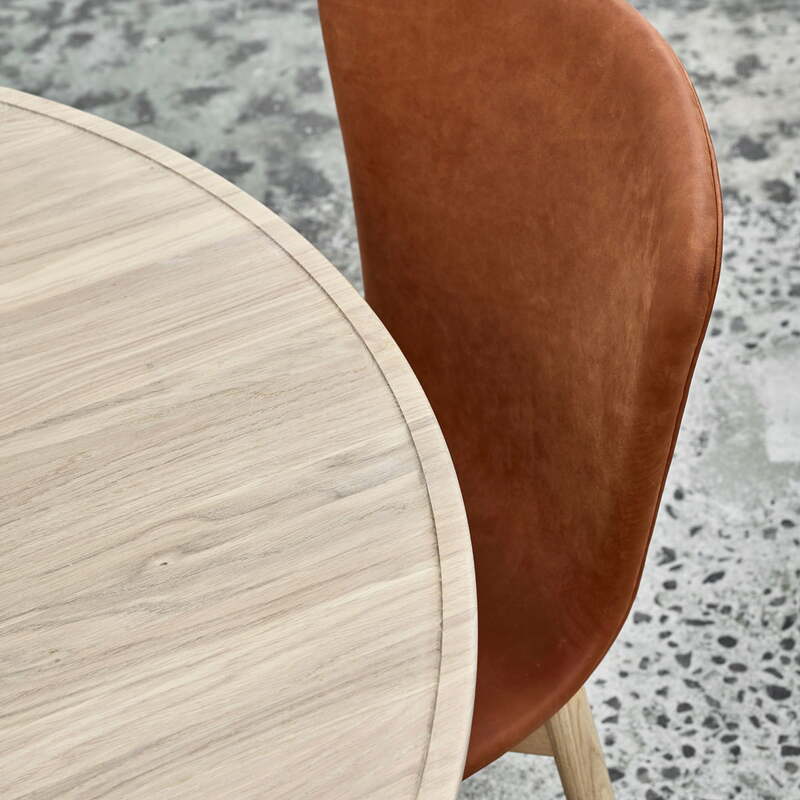 Detailed product image of the Accent dining table by Mater Thanks to its round shape, the dining table makes for particularly convivial evenings with friends and family.